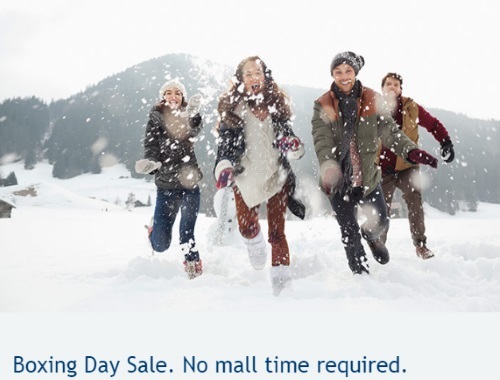 Get outta town with a sweet WestJet Boxing Day deal and save 26% on select base fares. Save 26% off Econo and Plus base fares! Percentage discount is applied to base fare. Taxes, fees and charges are extra. Other restrictions apply. No blackout dates apply. Travel from January 9-February 9, 2017. Enter the Coupon code: Y6XEPGW and Promo code: WNP08 to get the discount. Sale ends December 27, 2016 (9:59 p.m. MT). Restrictions apply. Boxing Day Sale. No mall time required. Click here to browse this deal.